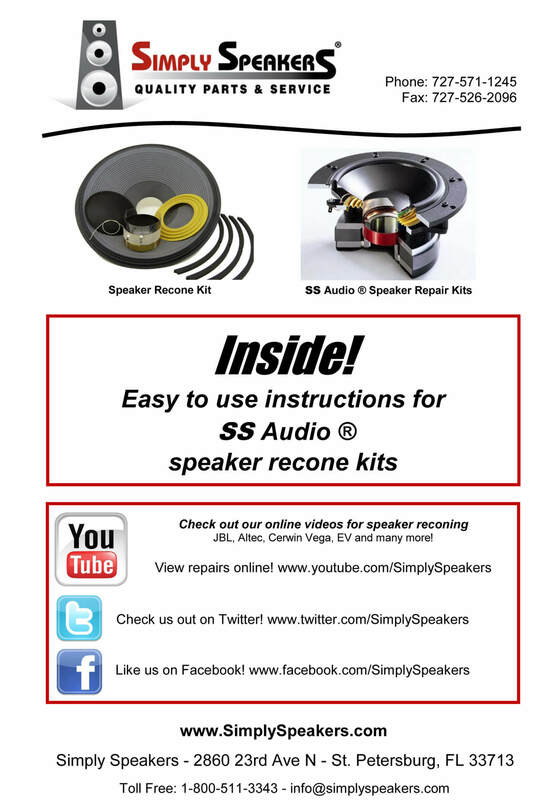 Please check the model of your speaker before ordering to be sure you receive the correct recone kit. 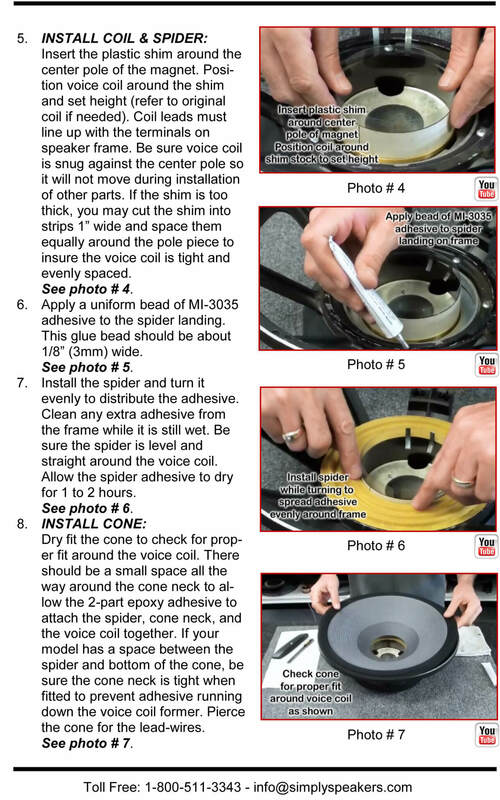 After 15 years in our dry climate, the glue job on the spider of my LS-15's apparently had dried out and failed. It was a little scary to cut into one of my babies, but the online instructional video was so helpful. It was surprisingly easy to do and I had never done anything like that before, had never even used a soldering iron before. 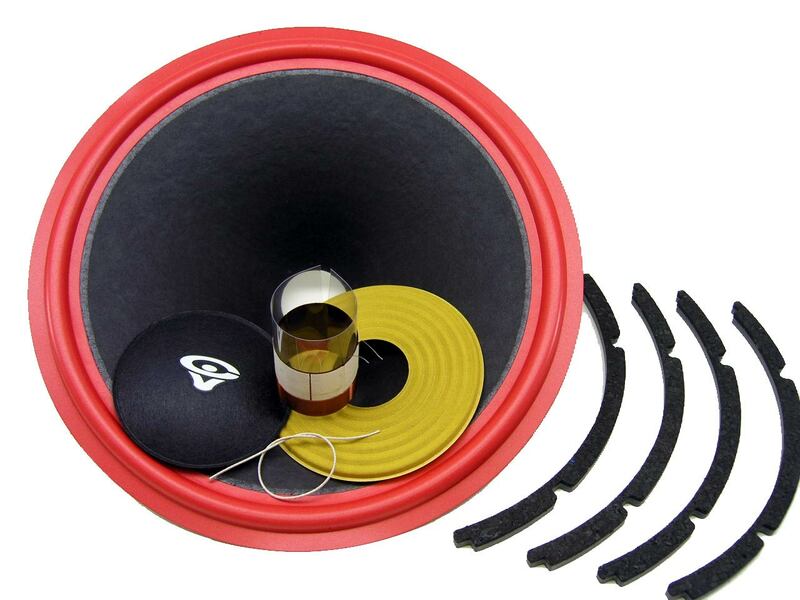 My LS-15's are rated for up to 8 Ohms and I wanted to make sure this was the right kit and the people at Simply Speakers responded to my e-mail quickly. The most difficult part of the whole thing was getting the dust cap centered without getting glue on the part of the cone that was showing. My babies are thumping again, and I will definitely use Simply Speakers again if the glue fails on my other speaker. After unpacking everything and dry fitting to the original woofer basket, I noticed that my original voice coil was a SVC and the one sent was a DVC. Confident in what I was doing, I put everything together up to the point of soldering the wires to the pigtail lead. That is where I now sit. Looking at the video from SS, they put together a JBL speaker that has a SVC. Looking on youtube, I failed to find a video that addressed this particular situation. Is it as simple as wrapping a pair of leads around one pigtail lead and soldering and then doing the same to the other pair of leads? Maybe the good folks at SS can address this! 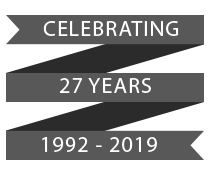 Othere than that, my experience with SS was very good and would deal with again in the future! A: The original AT-15 cone was ribbed. The new version cone is smooth. This is normal for this model. Q: Does this kit fit my Cerwin Vega AT-100? 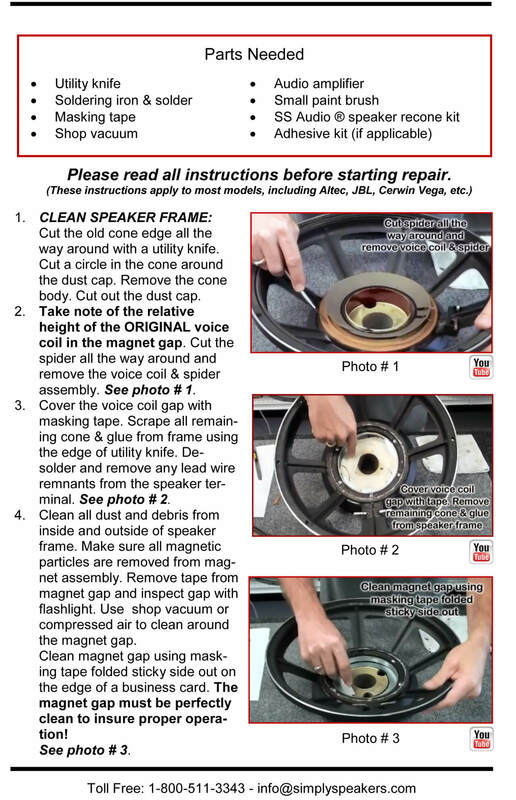 A: Yes, this speaker repair kit fits the Cerwin Vega AT-100 which uses the ATW-15 woofer. Q: Is this kit for one or two speakers ? 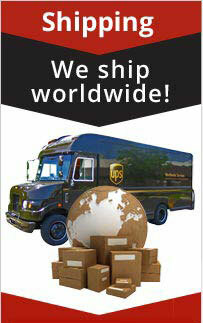 A: Recone kits are sold individually. Q: Will these kits fit the cerwin vega dx-9 series woofer 15 inch ? A: Yes, these kits are the same except your woofers use 3.75" dust caps. 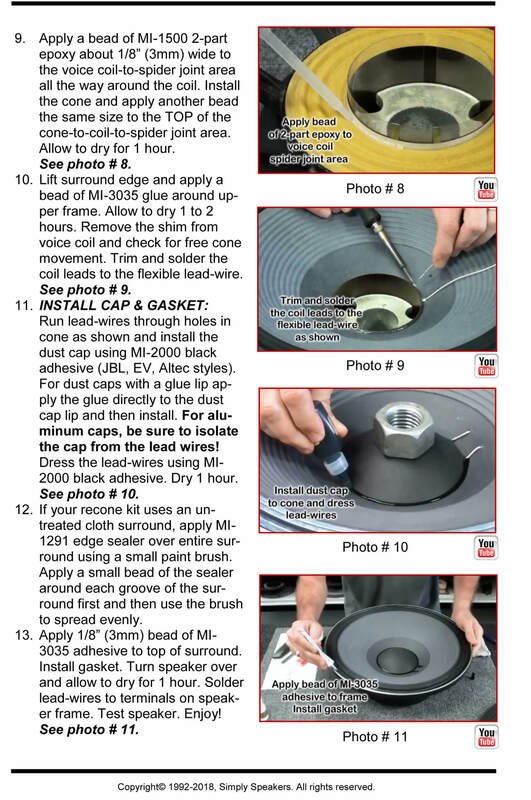 Order part # DCF-3.75F-Vega or simply use the larger 4.5" caps that come with the recone kit.